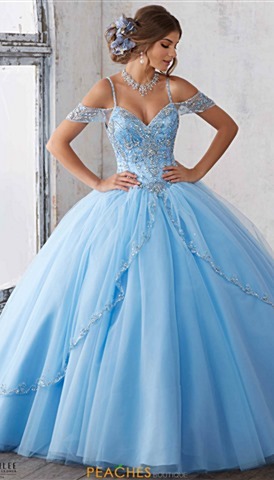 Light blue prom dresses are on trend this season and whether you are looking for a beautiful Cinderella ball gown, a whimsical a-line style or a fierce fitted look, light blue is a very stunning color to go with. It is the perfect contrast to any skin tone and will definitely have you turning heads when you walk by. 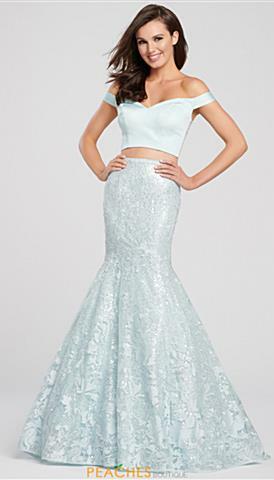 Opt for a short light blue homecoming dress to start off the school year or end it with the ultimate dramatic style for prom 2019. 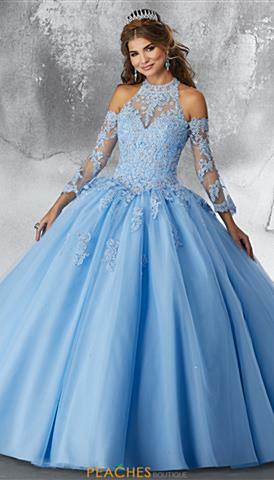 Complete your exquisite light blue prom dress with the perfect rhinestone earrings and a matching bracelet, find it all at Peaches Boutique in Chicago. 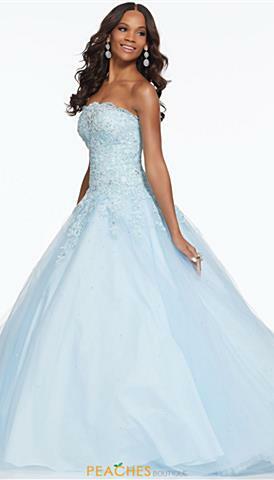 Shop this season's wonderful collection of light blue dresses that are going to leave a lasting impression on everyone. 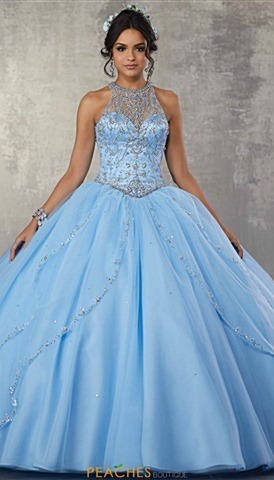 A lovely light blue prom dress will work perfectly with any skin tone and is the perfect color for any social event you are planning to attend. 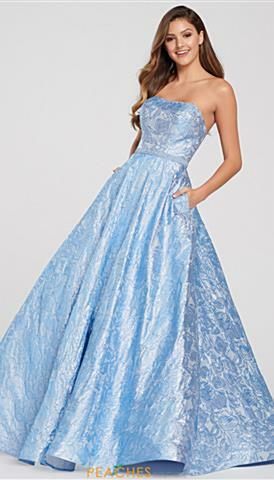 With a large variety of light blue homecoming dresses differing in style, length, and designer you are sure to find the perfect gown. 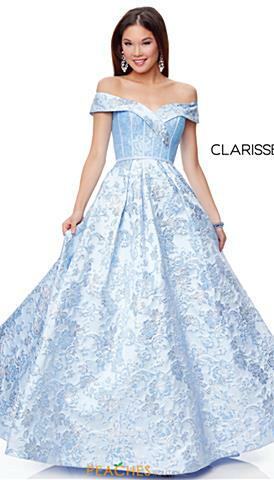 A large selection of light blue gowns showcases many different trendy features, such as pockets, intricate bead work, two-piece styles, and a variety of different necklines and hemlines. 2019 light blue dresses will have you looking and feeling, like royalty. 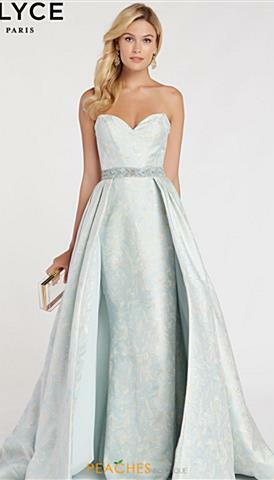 Find your dream dress at Peaches Boutique.